The status of objectives in OKR is measured by key results. 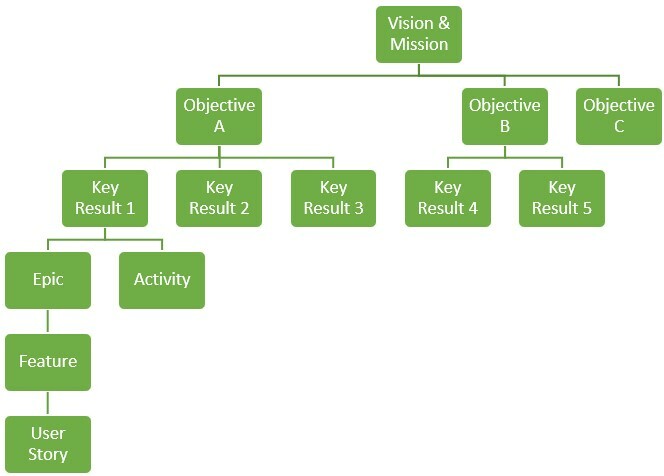 The Key Result describes a value that is needed to achieve in order to target the objective. There might be 1-3 key results necessary to describe the objective. Also, they might be provided from multiple perspectives, not just from the perspective of product development. There might be multiple activities or product features necessary to fulfill the key result. 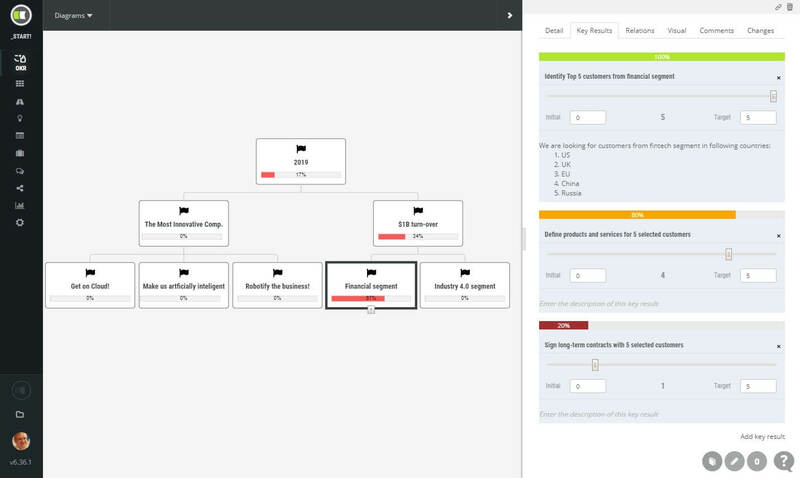 An objective’s key results in ScrumDesk are defined on the Key Results tab available once the node in the diagram has been selected. Define one or multiple key results necessary for the achievement of a goal. Define the minimum and the maximum value of the key result to better guide your team. Set the current value to indicate progress truly. The progress of the key result can be changed by the drag of the thumb in the progress bar and it influences the progress of the objectives respectively. The status is also indicated by the color of the progress bar. Objective’s status is calculated based on the status of child key results + progress of related items (an average value).